Mice are small nocturnal rodents that typically can be found living in cool, dark places. They prefer to live in places such as in-between walls, couches, cupboards, pantries and other places where they won't likely be disturbed. Because of the frequency at which mice tend to breed, infestation can be a valid concern. Since they mostly come out at night, scaring them out of hiding in your house can be quite a chore. Luckily, there are several options you have in bringing your squeaking friend out of hiding. Trap mice with cheese as bait. 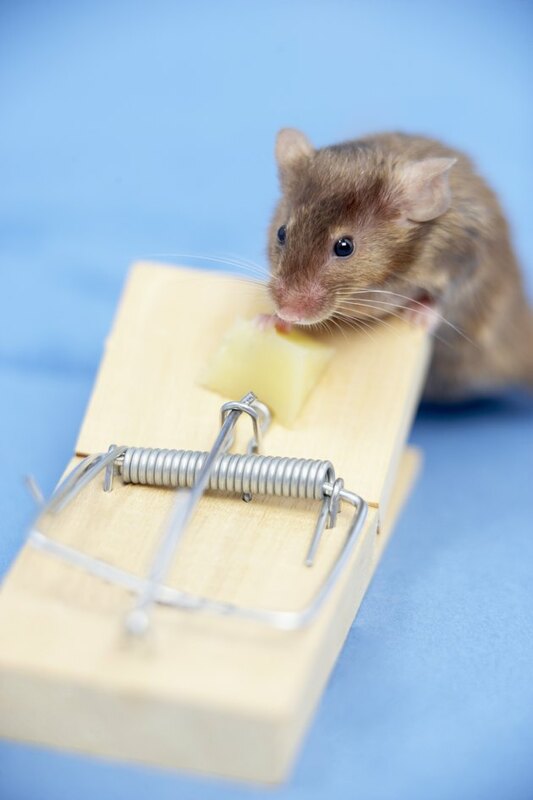 Place snapping mouse traps baited with cheese in various parts of your home. 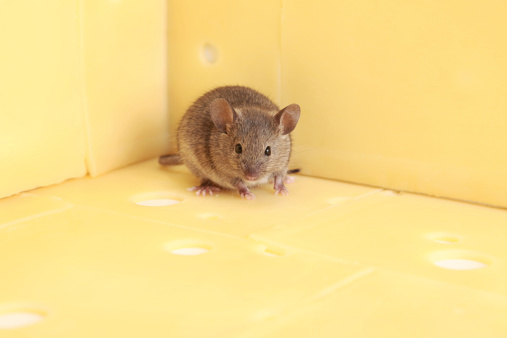 Although cheese seems to be an old favorite of most mice, you can use other types of food in your mouse traps as well, such as fresh fruit or vegetables, nuts, berries or even bread. Prepare and hide some glue mouse traps around your house. Take care not to place the glue traps anyplace that you or members of your family might accidentally step on them yourselves. The adhesive glue on these traps is very sticky and can be dangerous if it becomes stuck to your skin or clothing. Drawing mice out with poison will kill them. Set out poison for the mouse. Most mouse poisons that you can purchase at your local home improvement store are made with ingredients that will entice mice. Once the mouse consumes the poison, though, the mouse is sure to perish. For this reason, this is not always the preferred choice to bring a mouse out of hiding, but it will certainly work if you don't mind the end result. Sprinkle different potent scents around your home to bring mice out of hiding and steer them in the direction you want them to go. 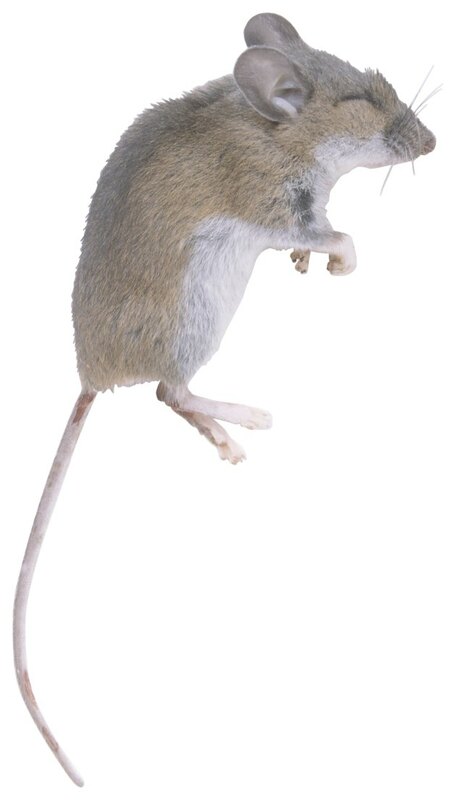 By using various foul-smelling products around the home, mice can be driven from their hiding spots. Various scents such as peppermint, ammonia, onion, garlic and alcohol can repel mice, making them leave their comfort zone in search of a better-smelling home. Cats are natural hunters of mice. Buy a cat. Cats are known for their hunting abilities, especially when it comes to mice. Owning a good house cat might save you the trouble of bringing the mice out of hiding yourself, as cats do a good job of this on their own. 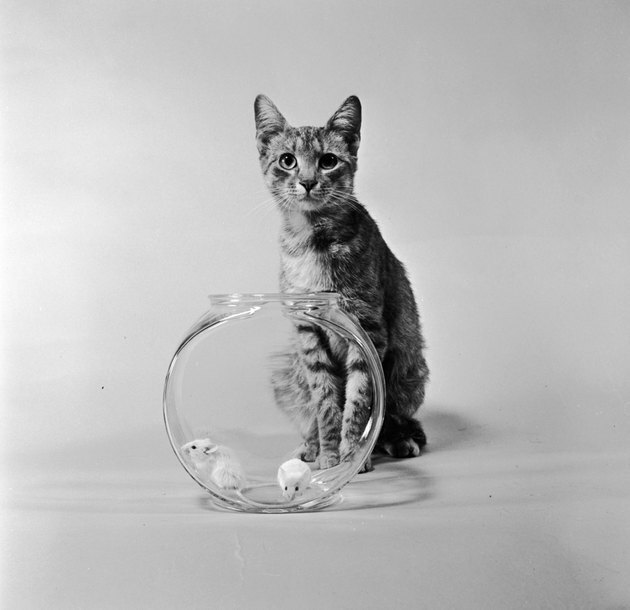 Cats hunt mice by instinct and are a preferred remedy to mice problems by many. Based in Reseda, Calif., Heather Eastin has been writing since 2000, garnering several awards along the way. She has worked as developer, writer, assistant editor and blogger. Eastin received a B.A. in journalism from Pepperdine University in Malibu, Calif.
What Foods Can Kill Mice?